A masters study in Portugal is an opportunity to study abroad. Both taught or research masters study in Portugal gives an good academic excellence for international students. Portugal: A country with an enviable climate- sun, sea and cities is a popular country international students do choose to study. 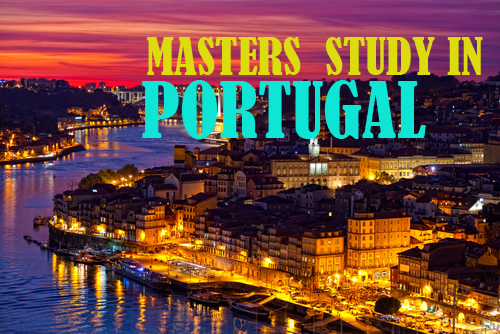 Why Masters Study in Portugal? Certainly there are great reasons why it has to be Portugal than study in Germany or other countries. There are lots of things that make Portugal a good choice as the Portuguese Education System are proud of their institutions. Tuition Fee: tuition fees and living cost are relatively low, this makes it affordable as cost of study is currently €1,063 in a public university. A good opportunity for international students. Language: Portuguese is among the world top and widely spoken language. so speaking Portuguese is an advantage in your languages spoken. Global Look: Portugal global history of trading and exploration gives it an excellent international recognition as it position at the edge of Europe and maintaining strong relationship with Portuguese speaking nations. Completion of undergraduate degree: Majority of courses are second-cycle postgraduate Masters (mestrado) programmes. Joint degree course: In professional subjects (such as law and medicine), this is sometimes taken and is known as the mestrado integrado. This takes up to six years to complete (including an undergraduate programme ) it is a long-cycle qualification. The majority of university-level teaching in Portugal is carried out in Portuguese, but English-language teaching is more common on Masters programmes. Some courses may require an appropriate English language tests in or Portuguese. Don't forget that speaking Portuguese at basic or intermediate level along with your master degree may be an advantage against competitors in your future employment and study prospects. As Portuguese is spoken by more people worldwide than any other European language except English and Spanish. Application to masters study in Portugal are made directly to the university or college (higher education institution) of your choice. Early enrollment for course should be done, because for visa application a confirment of enrollment will be required. If you seeking admission into universities in Portugal, it is possible as lots of students and international students are admitted into both public and private higher institutions in Portugal. A second-cycle mestrado programme admission will require you to have have a relevant undergraduate degree. 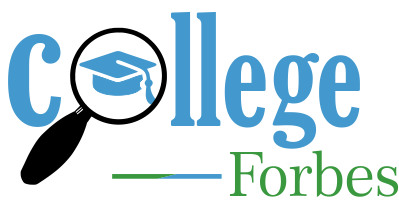 Portugal as a country participate in the Bologna Process- this means that qualifications from other European nations are given automatic recognition. Degrees obtained from other countries outside Europe may need to be formally recognised and accepted by your prospective Portuguese universidade or politénico admission office. Some courses chosen at Portuguese higher institution uses a 'numerus clausus' quota system- means that only limited number of students (sufficiently high standard) are admitted and graduates.There often exist separate quotas for international students. As admission are competitive, however, your application may still be ranked against other prospective candidates for a course chosen. An entrance examination may also be set In some case. Portugal having a low cost of living , however maintains a minimum cost for study programs. Each public higher education institution sets masters fees, For the 2017-18 academic year €1,063 as fixed fees. More charge than this may be exist for some private institutions. International students from outside the EU may be required to pay at a higher rate while students from EU countries (or Iceland, Liechtenstein, Norway and Switzerland) do not incurre additional fees. Master study funds, international scholarships may be offered to students by various universities according to merit or financial requirement. Students from EU are automatically eligible for these opportunities, while international students from overseas may have limited access to grants, funds and supports. Make some findings about potential funding available from your institution for you and eligibility. 1. Visa immigration procedures need to followed for a student that need to study abroad, because Portugal is a member of the European Union, European Economic Area and Schengen Area, its are quite relaxed for students from other European countries. EU nationals only need to apply for a registration certificate, this should be obtained within three months of arrival in the country (though a 30 days additional grace period may apply), this is also applicable for those from EEA and Switzerland. The Portuguese Immigration and Borders Service website has more information on registration certificates for EU and EEA citizens. Nationals of other countries will need to apply for a student visa to study in the country for more than three months. There are specific requirements for different visas and registration certificates may vary. Applications for a Portuguese student visa should first be made to a Portuguese embassy in your normal country of residence. Confirmation of enrolment at a Portuguese higher education institution. Evidence of sufficient funds or funding to support you for the duration of your studies. Confirmation of health insurance (covered by an international agreement such as the European Health Insurance Card, or through a private policy). 2. Letter of Recommendation/Referee: At least two to three referee, this is required as an attestation for your academic performances, conducts and character. Are mostly required to be obtained from your home institution supervisors (professors). 3. Transcript: Detailing your academic performances of previous study (bachelor degree). Universities (universidade): undertake research and maintain the higher level expertise required to award PhD degrees. Programmes at universidade may be more academic and theoretical. Polytechnic institutions (politénico): specialise in more applied training and often focus on professional fields. More common courses are applied or professional subject-areas compared with programmes at universidade. Portugal public institutions are more tightly regulated in terms of the fees they can charge when compared with private institutions- have greater freedom, but are often more expensive in practice.